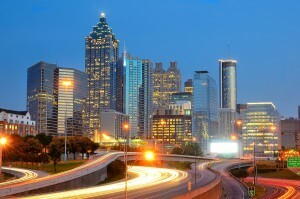 Individual movers who are looking to relocate to Atlanta, Georgia, may be facing some difficulties when it comes to selecting the perfect community for themselves or their family. Regardless of how familiar they are with certain areas, they should consider the following tips when comparing communities to potentially live in. One of the most important things to consider when comparing different communities to live in is the job opportunities available in each location. Self movers will need to establish a source of income after relocating, so it’s important to not only find companies within their career field that are in or near the communities being compared, but also ones that are looking to hire. Once they have selected possible communities to live in and potential companies to work for, movers should begin applying to these businesses before their arrival whenever possible. For individual movers with children, it’s especially important that they research schools in the area to ensure their kids receive quality educational services. It may also be worth knowing about any local colleges or universities that can provide local options to further education and insight to the possible age demographics in the area. Crime rates – Will I be safe in this community? Neighborhoods – What will my neighbors be like? Cost of living – Can I live comfortably within my budget in this city? Public transportation options – Will I have to drive or are there buses, subways, or trains I can use to get around? Average climate – Will I be affected by changes in season or temperature? By answering these questions, individual movers may be able to narrow the possible communities to move to and select a residential area that would satisfy their needs. Of course, if you need assistance with relocating to your selected community within Atlanta, GA, turn to professionals, such as those at Bulldog Movers, to assist with packing, moving, and more. Call or email today for more information or to request a free moving quote.